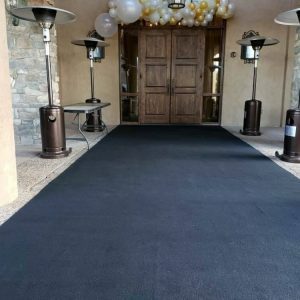 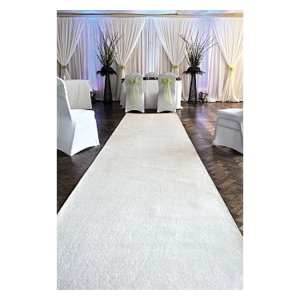 Aisle runner is 4 feet wide and 24 feet long with bound edges. 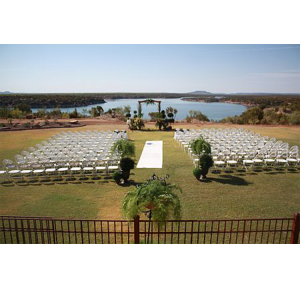 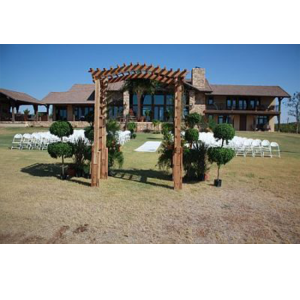 A beautiful addition to any special event! 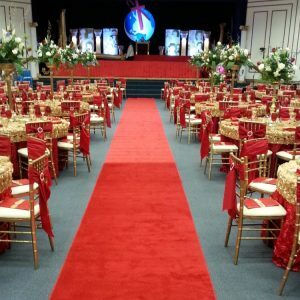 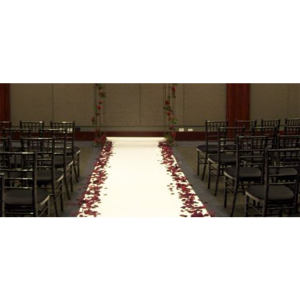 We have an indoor and outdoor option for this aisle runner, please specify whether you event is indoor or outdoor. 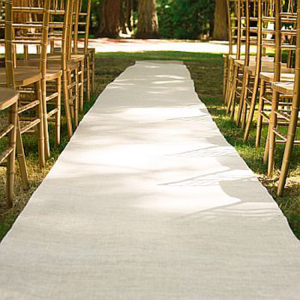 These aisle runners offer bound edges for that finishing touch!